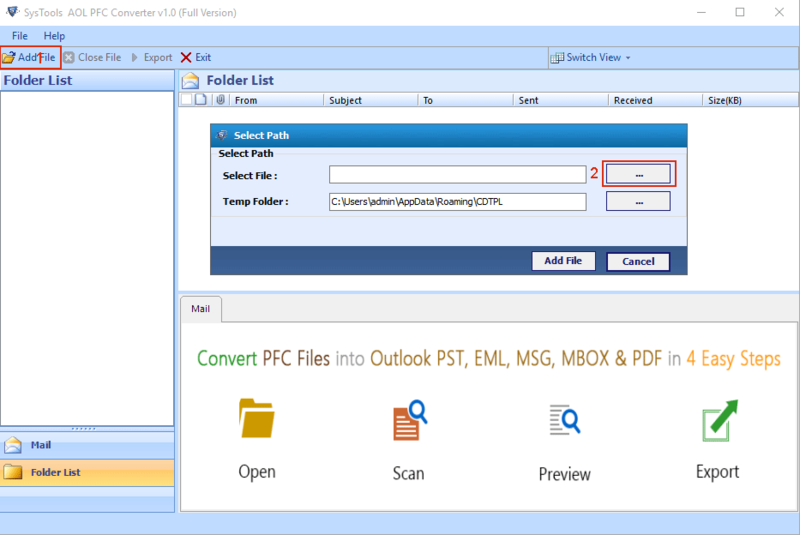 Convert PFC file to Outlook PST format with all emails & their associated attachments. Export AOL PFC emails, contacts & other data into EML/MSG/MBOX and PDF File Format also. Support Advanced PDF Setting Option for PFC to PDF conversion. PFC to PST converter preview all emails at the time of conversion process. Allow Selective export of PFC files data items and folders. Filter AOL PFC emails using date filter supported by PFC converter. Provide Support for latest Windows 10 and all below versions. 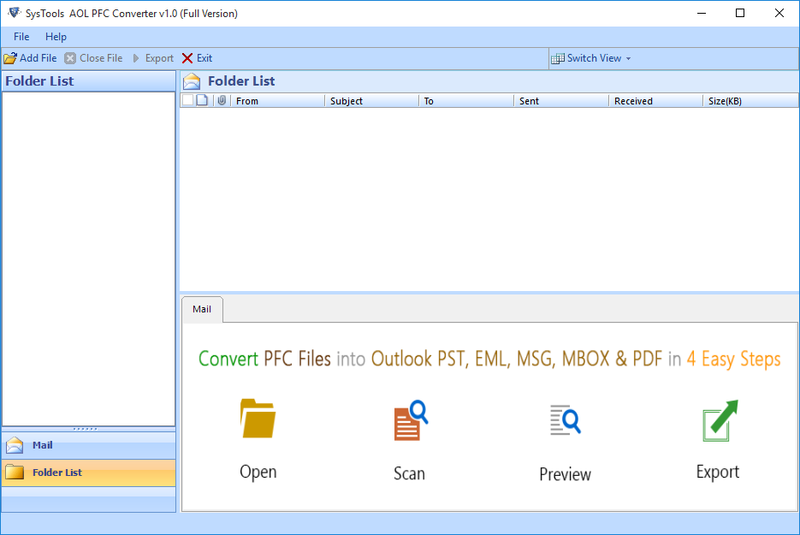 PFC Converter tool successfully export PFC (personal filing cabinet) files into MS outlook PST without harming any single bit of data, so that you can switch from AOL Desktop email client to MS outlook easily. Export AOL emails to PDF format in order to generate a documented version of all your PFC file emails. The Convert PFC tool support advance PDF setting option through which you can specify Margin, Page Orientation & Page size of output PDF File. Export AOL email, contacts & other data to hard drive of your system in many other email file formats too such as EML, MSG & MBOX which help you to access data via wide range of email clients including Thunderbird, Mozilla, Netscape, Google Takeout files, etc. AOL PFC file converter support selective export of PFC files and folders. You can export AOL mail folders to outlook belongs to different PFC files by just selecting or deselecting according to your requirement. Transfer all data from AOL desktop to Outlook for multiple PFC files. The PFC file converter perform batch exporting of PFC files. Thus you can convert multiple PFC files to PST at one go without any overlapping. 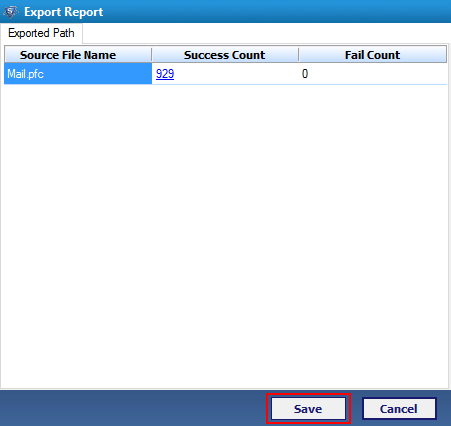 Convert PFC Software optimize the exporting process through filter. The Date Filter of software allow users to export PFC data items according to specified date range. To get an easy understanding and search for particular email, software support different naming convention to save the output file format. Save output file according to Subject, DD-MM-YY, DD-MM-YYY, YYYY-MM-DD + subject, MM-DD-YY, MDS, Auto Incremental, etc. AOL PFC to PST converter ensures to maintain the overall integrity and folder hierarchy of PFC files intact. Software preserve all attachments and Meta data (Cc, Bcc, To, From, Subject) original as it was before exporting process. PFC stands for Personal Filing Cabinet is the filing system of American online (AOL) desktop software. The AOL desktop is an email client application software that store & organize your emails & other data on to your local computer hard disk in the form of PFC file database. PFC file is created for each user account associated with AOL desktop to facilitate the access of emails when you are in offline mode. The PFC file can only be read through AOL desktop software. These files are also not get accessed via guest account login from your own computer or from remote location. But saving your emails on to AOL server allow you to access data from remotely or from guest login via AOL desktop software. Why We Convert AOL PFC File to Outlook PST? To switch from AOL desktop email client to MS outlook. To create backup and archive of PFC emails on to local hard drive. Under the scenario when you don't have AOL desktop software installed on your system. Step 1: Launch Convert PFC Tool. Step 2: Add PFC File/Files. Step 4: Export Process Completed. Click to play this interactive video to know more about the software working. 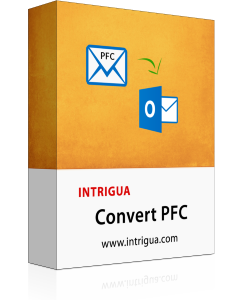 This video software guide specially created for our users to get an easy understanding of how to convert AOL PFC files into Outlook PST. Yes, INTRIGUA Convert PFC successfully runs on latest windows 10 OS and all below versions too. Do I need to have MS outlook installed on my system to carry out conversion process? Yes MS outlook installation is necessary and essential prerequisite to export AOL PFC to PST. Does this tool export multiple PFC files into outlook PST at one go? 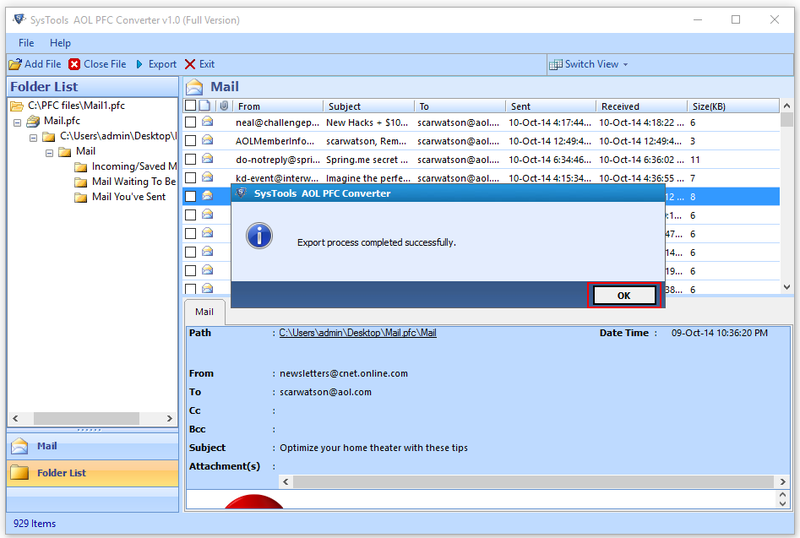 Yes using this tool you can export multiple PFC files into outlook PST at one go. Is this tool capable of converting PFC files into email formats other than PST? Yes you can convert AOL PFC file into other file formats too such as EML, MSG, MBOX and PDF. 20 MB of free hard disk space should be available to run Convert PFC software. With the selective item export feature in INTRIGUA Convert PFC Tool, I was able to select only the desired items from large sized AOL PFC file without the need to export all the items and thus save time. Thanks to the team for great work.